Former unified world champion Sergio “Maravilla” Martinez sees big things for his protégé Jon “JonFer” Fernandez as the undefeated super featherweight prepares for his toughest test to date in O’Shaquie Foster in the headlining bout of ShoBox: The New Generation this Friday, September 21, live on SHOWTIME (9:45 p.m. ET/PT). Martinez, known for his extensive career and impact inside the ring and now at the helm of Maravillabox Promotions, has managed Fernandez since 2015. Since his pro debut at only 19 years old, Fernandez (16-0, 14 KOs) has climbed the prospect rankings while keeping his unblemished record intact, knocking out 88 percent of his opponents along the way. The 23-year-old Fernandez was named the No. 5 prospect in all of boxing on ESPN’s Top Prospects of 2017 list, and looks poised to challenge for a world title at 130 pounds in the near future. This Friday’s quadrupleheader features eight prospects boasting a combined record of 81-2-1 and 56 KOs. The telecast opens with James Wilkins (5-0, 5 KOs), who is featured on SHOWTIME’s CRADLE OF CHAMPIONS documentary immediately preceding the ShoBox telecast at 8 p.m. ET/PT, taking on Misael Lopez (8-0, 4 KOs). Also included on the card is a battle between undefeated featherweights Irvin Gonzalez Jr. (10-0, 9 KOs) and Carlos Ramos (9-0, 6 KOs), plus and Brooklyn’s Wesley Ferrer (12-0-1, 7 KOs) colliding with undefeated lightweight Philadelphia prospect Steven Ortiz (8-0, 3 KOs). How much has Jon progressed since the last time we saw him on SHOWTIME in June 2017? How far away do you believe Jon is from challenging for a world title opportunity? You have sparred with Jon in the past, how did that go? Do you still train with him? What initially drew you to work with Jon in the beginning? How do you feel about the matchup Jon has on Friday night against O’Shaquie Foster? 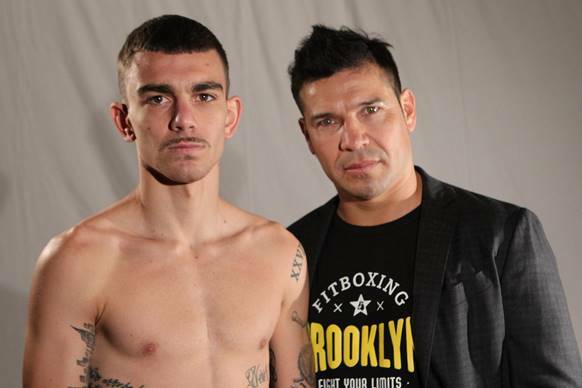 Irvin Gonzalez is also undefeated, what does Carlos need to do for the victory? What are you thoughts on Carlos as a prospect?